The porterhouse is the undisputed king of grilled steak; because the ‘T-bone' gives you something to gnaw on and gives the cut more flavor. It also has lots of marbling which also gives great flavor. Unlike a ‘T-bone” cut though, the porterhouse cut also includes the tenderloin; so it's got a tender delicious center to it. 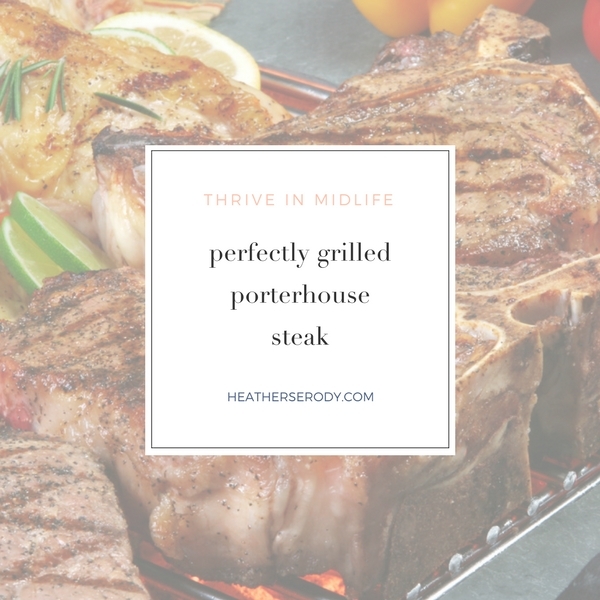 A perfectly grilled 1&1/2″ porterhouse is hands-down the best bone-in steak I've ever had. I'd like to order a whole porterhouse loin, cut into 1 & 1/2″ thick steaks. You will have to decide on the grade of meat for your order. 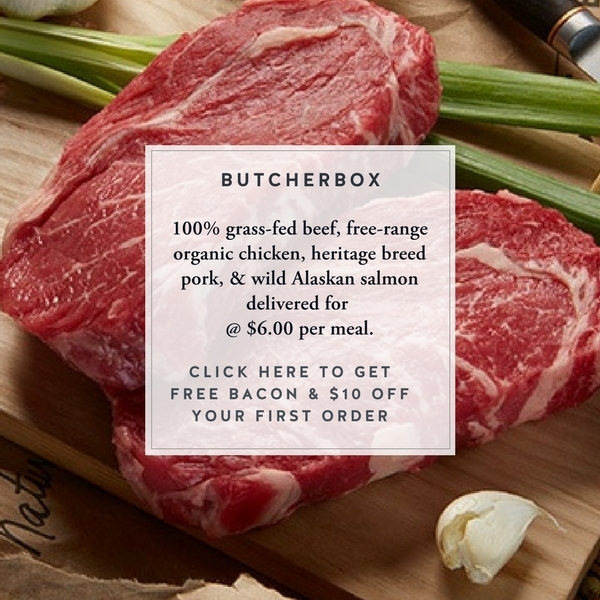 I recommend ordering “choice,” which is very high quality but not so high that it is outrageously expensive or over the top in marbling/fat. Ask the butcher individually wrap the extra steaks. You'll have lots of steaks in the freezer to pull out anytime; which is always a good thing. Let the steaks come to room temperature. This is an important step to grilling perfection – do not skip it! Get your grill HOT. Rub the steaks with olive oil – not extra virgin because it's too delicate for the high heat of grilling. Crack lots of fresh pepper and good quality sea salt on both sides of these babies. Don't skimp on the seasoning! Test the desired doneness of the steak by using the touch test. Whatever you do, do not cut into or poke your gorgeous steak with a knife or thermometer or all of the delicious juices will run out. Every time someone does this an angel loses her wings. Just use the touch test and have faith. When the steaks are done remove them to a platter and cover with foil for 5 minutes. Why? Because during the cooking process the juices move up into the bone. Resting the steaks allows the juices to return back into the meat. You'll know your steak is ready and rested when you see juices forming on the bottom of your platter under the steaks. I cut the tenderloin off the bone; leaving both a T-bone and a separate tenderloin. Observe your tenderloin and notice the way the grain runs. Cut across the grain holding your knife on the bias, which helps to maximize the tenderness and gives a great presentation. Don't forget to give the entire bone to the bone gnawers in your family – human or canine. Grilled porterhouse tastes AMAZING and it's the perfect fatty cut of meat to eat on keto. It's also no secret that this is the easiest way to wow your dinner guests, just make sure they're not vegetarian beforehand! 🙂 I like to serve it with grilled asparagus and a spicy/bold red wine.